For steam generation, cooling water system control and water treatment, the HSE 274, INDG436 and the BG04 require statutory duty holders to document all measures which are put in place to control risk. 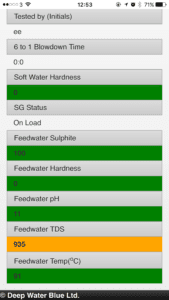 As specialist water treatment consultants, we have developed a unique management, training and maintenance programme which allows you to undertake training and then record how and when actions have been taken to improve system performance and to control risk-welcome to our trademarked, unique and unrivalled web based vSteam® monitoring system. 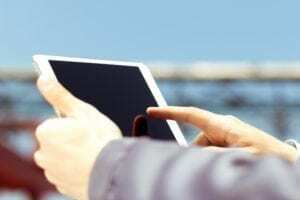 As responsible water treatment consultants, we also have access to this database to comment, recommend control measures and also to prompt you if actions have not taken place. So how responsive can we be? Every time a record is updated, we are automatically informed via email, giving us the capability to respond urgently as required. 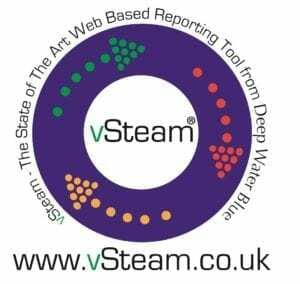 vSteam® is a unique, trademarked, state-of-the-art management tool, which provides total water treatment management for steam system compliance with HSE and industry standards, recommendations and guidance. To learn more about vSteam® and how it could support your water system, call us now on 0870 460 2980.
vSteam®, its registered trademark and all associated intellectual property are wholly owned by Deep Water Blue Limited-all rights reserved.